Standard coatings and surface modification technologies for the orthopedic market have been used for decades. 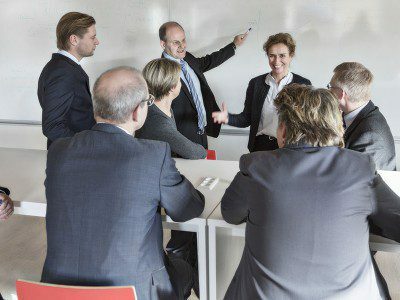 Nevertheless, medtech companies continue to look for ways to improve the osseointegration process – and breakthrough advances are on the horizon. Elos Medtech has developed a new coating and surface technology for OEM’s to supply state-of-the-art implants with optimal properties for osseointegration. Today, there is a wide range of applications for coating and surface modifications for the orthopedic market. The products are focusing on improving wear resistance and osseointegration. Plasma-sprayed titanium surfaces or calcium phosphate/hydroxyapatite (HA)-based coatings are currently the standard methods for within-the-bone implants. However, these methods are associated with issues concerning coating delamination. Let us shift focus to the dental industry for a minute. 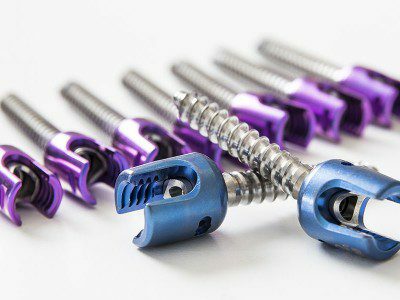 While the orthopedic industry is fairly conservative when it comes to introducing new surface technologies for improving osseointegration, there may be much to learn from the field of dental implant research. For example, numerous surface modifications based on processes as diverse as the grit blasting, anodization, and chemical surface modifications are currently used in the dental industry to enhance osseointegration. While many of these processes still pose challenges when it comes to bacterial infections, the risk of coating delamination is low or nonexistent, compared to, for example, HA-based coatings. With bacterial infections being of high concern, a key consideration is the porosity and texture of the surface coating. Research shows that rough surfaces facilitate bacterial adhesion, making it more difficult to treat these infections with systemic antibiotics. On the other hand, roughness in the micrometer range is beneficial for stimulating osteogenesis and, thus, ensure fixation of the implant in the bone. Considering these factors, a turned surface with a roughness in the nanometer range would be desirable for reducing the risk for bacterial infections. This, however, requires that other means than micrometer roughness, for stimulating osteogenesis, are introduced. Based on previous experiences with thick hydroxyapatite coatings, some OEMs might fear coating delamination. This risk, however, is greatly reduced by tailoring the substrate adhesion and keeping the correct thickness of the applied coating to a minimum. Elos Medtech has, through an international collaboration, developed a new coating and surface technology that accelerates the process of osseointegration for implants with smooth surfaces. In collaboration with iNANO at Aarhus University, Danish Technological Institute, Medical University of Innsbruck and the Innovation Fund Denmark, a titanium oxide-based PVD coating, that releases small amounts of the bone-stimulating element strontium, has been developed. 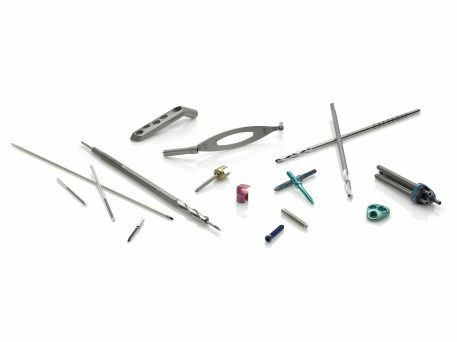 This release does not compromise the stability of the coating and therefore the integrity of the deposited structure is maintained throughout the lifetime of the implant. Adhesion is ensured by including a graded binding layer, matching the chemistry of the substrate material, and applying a very thin coating in the one to two micrometer range. Our new surface technology does not only minimize the risk of coating delamination and bacterial infection – we have benchmarked this technology against leading dental implant surfaces and it outperforms these surfaces for early-stage peri-implant bone volume. In other words, implants modified with our technology are rapidly integrated into the bone and have a larger peri-implant bone volume to support the stresses on the implant. Thus, OEMs are able to supply state-of-the-art implants with optimal properties for osseointegration, leading to faster rehabilitation of the patient. 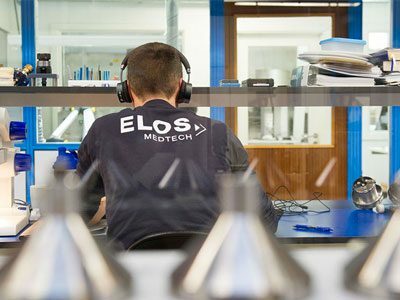 For requests – whether they be technical or timeline based – visit Elos Medtech. We help you from design to prototyping through to compliance and global distribution.